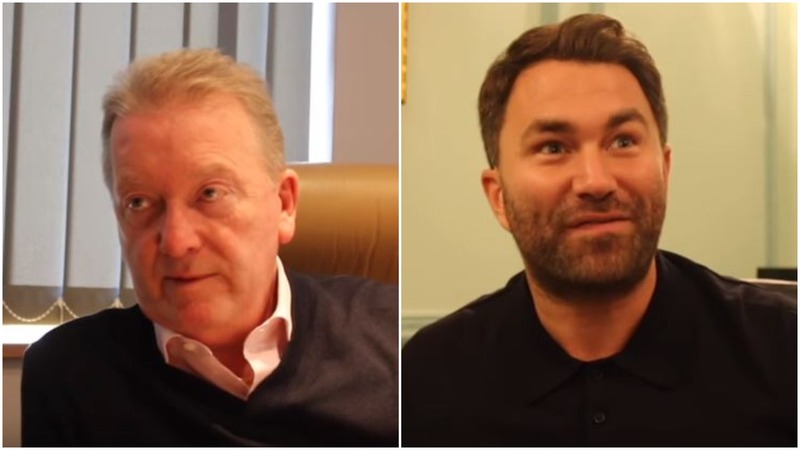 Hall of Fame promoter Frank Warren as expected has confirmed the date for which Deontay Wilder vs Tyson Fury will take place later this year on the same day as his bitter rival Eddie Hearn promotes the Anthony Joshua vs Alexander Povetkin heavyweight title fight later on in London. Most within boxing expected the news to come today. It did, but not the location just yet. December 1st it is. What a fight for boxing too. Anthony Joshua and Eddie Hearn must be slightly annoyed that the biggest fight in heavyweight boxing in 2018 not only does not involved either of them, but today’s announcements have taken away from their own fight today against Povetkin. Leading locations thought to be in the running for Wilder vs Fury include Madison Square Garden and the Barclays Center in New York, as well as the T-Mobile Arena in Las Vegas and The Staples Center in LA. Surely the winner at some point will then take on Anthony Joshua in 2019 to establish who really is the undisputed heavyweight champion of the world.